TSA approved, carry on ready! 2 oz Thermal Shampoo, 2 oz Thermal Conditioner, 2 oz GetItStrait! Glaze, 1.75 fl. oz. Thermal Mousse, 2 oz UShine Spray. Great for both Curly & Straight natural styles! 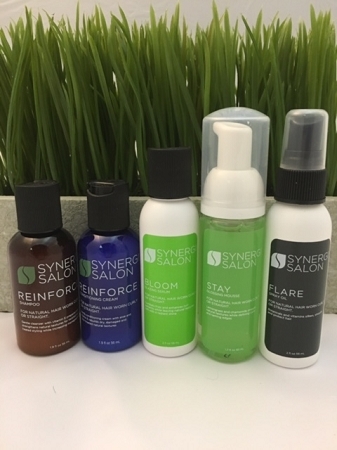 I initially ordered the trail size to see if I liked the products and I LOVE these products. They are light and moisturizing. If you like to wash your hair often these are the products for me. Theres no build up or long drying times. This is the only products I now use. Great products love that leaves my hair feeling clean. Love the mousse that helps develop the curls in my hair.